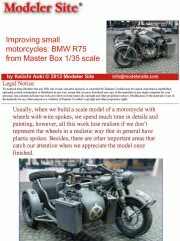 Usually, when we build a scale model of a motorcycle with wheels with wire spokes, we spend much time in details and painting, however, all this work lose realism if we don’t represent the wheels in a realistic way that in general have plastic spokes. 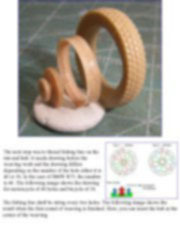 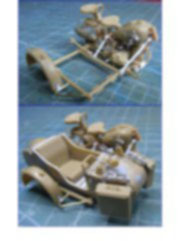 Besides, there are other important areas that catch our attention when we appreciate the model once finished. 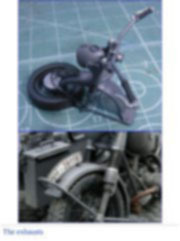 So, I think that the keys for a model to look real are: the spokes and the brake drum and/or central hub correctly represented, the handlebar, the exhausts and the cooling fins, among others. 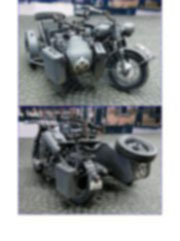 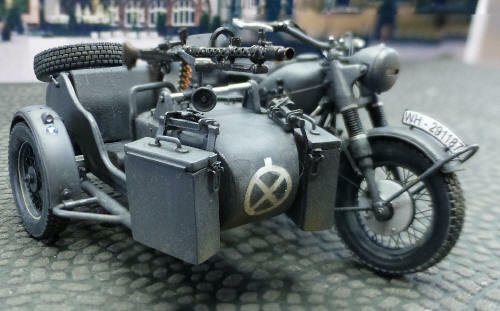 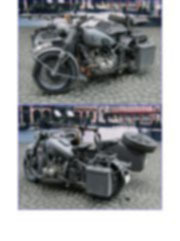 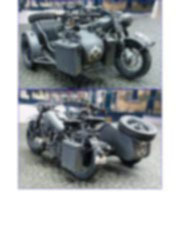 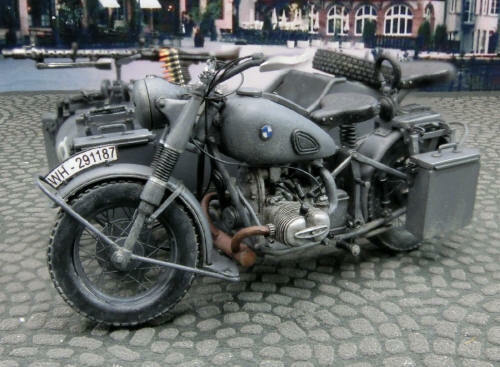 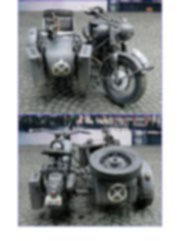 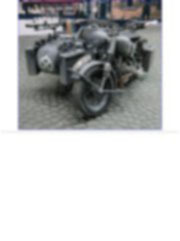 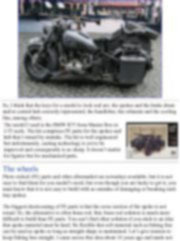 The model I used is the BMW R75 from Master Box in 1/35 scale. 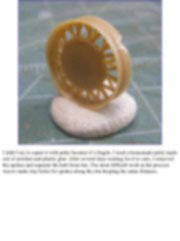 The kit comprises PE parts for the spokes and hub that I ruined by mistake. 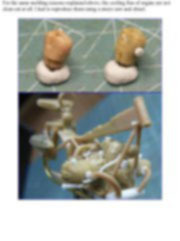 The kit is well engineered but unfortunately, casting technology is yet to be improved and consequently is no sharp. 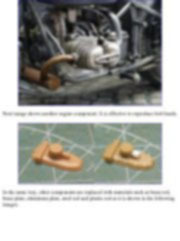 It doesn’t matter for figures but for mechanical parts. 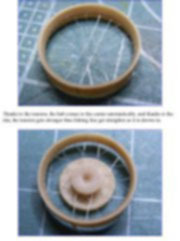 The biggest shortcoming of PE parts is that the cross section of the spoke is not round. 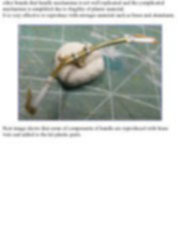 So, the alternative is often brass rod. 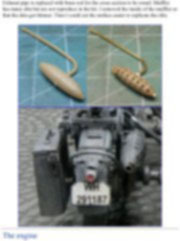 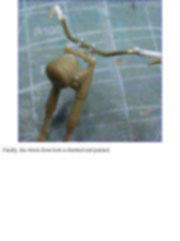 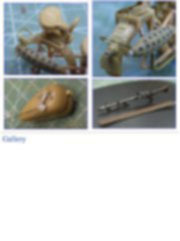 But, brass rod solution is much more difficult to build than PE parts. 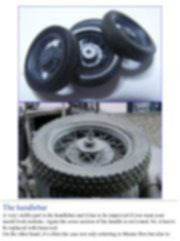 You can’t find other solution if you stick to an idea that spoke material must be hard. 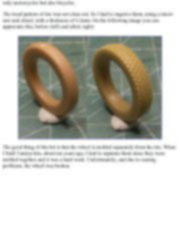 Be flexible that soft material such as fishing line can be used as spoke so long as straight shape is maintained. 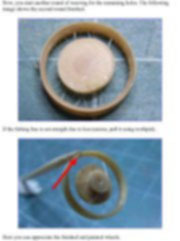 Let’s give tension to keep fishing line straight. 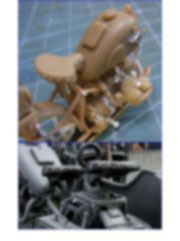 I came across this idea about 10 years ago and made not only motorcycles but also bicycles.